The 12th Anniversary of the Ride of Silence is tonight, Wednesday May 20, 2015. The annual Ride of Silence honors those that have been injured or killed in a bicycle collision or crash. Now in its twelfth year, the Ride of Silence has grown to be a true nationwide event. But while the support of our nation's cycling community is positive, the fact that the Ride of Silence resonates so widely is tragic. According to a study by the Governors Highway Safety Association the number of fatal bicycle accidents nationwide has increased since 2010. California has experienced 338 bicycling fatalities, followed by 329 in Florida, 143 in Texas, 138 in New York, and 80 in Illinois. The tops six states accounted for 54% of ALL fatal bicycle accidents nationwide. In addition, the study found that there has been a 16% increase in the number of bicyclists killed in crashes with motor vehicles between 2010 and 2012. In fact, the total number nationwide went from 621 to over a hundred more in 2012 with 722 fatal bicycle crashes. These deaths are yet again tragic reminders of the vulnerabilities of bicyclists and the tragic results of what happens when motorists fail to share the road and respect bicyclists. 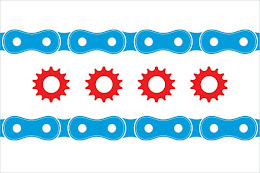 The Illinois Bicycle Lawyers at Keating Law Offices are proud to support the efforts of the Ride of Silence and to act as an advocate for bicyclists throughout Illinois. The Chicago Ride of Silence will leave from Daley Plaza at approximately 6:30 p.m. after gathering at 6:00 p.m. Please go to the Chicago Ride of Silence website for more information. A special thanks to Elizabeth Adamczyk of Ride of Silence - Chicago for her tireless efforts in promoting the Ride of Silence and making bicycling safer. 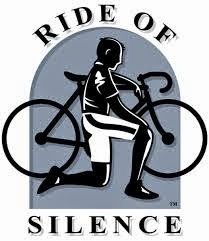 Please click here for information on other Ride of Silence events in Chicagoland and throughout Illinois.